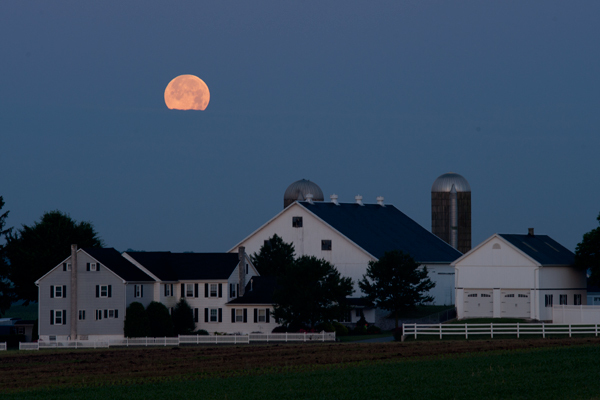 This full moon was shot last month on the morning following the rise of the super moon the night before. 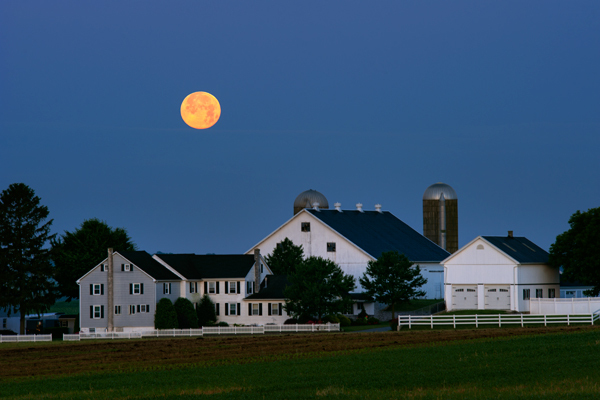 I headed out before sunrise and tracked this moon as I looked for a suitable foreground and I found this farm. As I was getting myself all primed up to capture it as it got lower on the horizon,wouldn’t you know it,what appeared to me to be a crystal clear sky,was actually hiding a bank of dark blue clouds and about the 4th frame of shooting,the moon started to be gobbled up into oblivion,which is seconds after I shot the top image. It was a surprise to me,but that’s how it goes with full moon shooting it seems.